It's been raining for four days straight this week, and the weather has still been very warm in our southern corner of VA. But even though outside feels like it is stuck in summer, doesn't mean your indoors has to feel the same! Last fall Jon and I were still getting moved into our little college apartment and didn't get around to much decorating besides a few mums for the front porch. This year, though, I've tried to be a little more creative while staying just as cheap. Wanna know what I did? I don't know what it is, but I think mini gourds are equally weird and adorable... which makes them one of my favorite fall decorations! What makes them better? Harris Teeter is selling them for $0.69 each! Last year I was able to find packages of them later in the fall for a deal. But that price is so reasonable! I bought three for my kitchen table and three for my mantle, and they're subtle little touches for my favorite spots. But if you're low on space like I am, don't be afraid to keep the pretty things out on the counter! 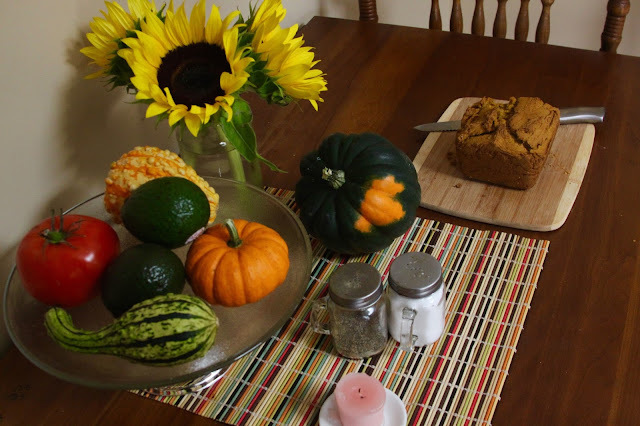 Acorn squash was on sale so I snagged one knowing that I could decorate with it until we ate it. In our Suffolk house, my mom had this fabulous wall of thrift store plate mounted on cheap plate hangers. But what made it really stand out was that she was always rearranging them or added different ones for new seasons! For Christmas she would incorporate more red and white, and fall might include darker reds and oranges. That was exactly what I thought of when my friend bought me this adorable pie plate from the Target Dollar Section... it's just too cute to cram in a cupboard! I am now on the hunt for a plate hanger that will allow me to hang it in my kitchen for the next few months. Ok, I'm going to talk about the Target Dollar Section for the third time, but for good reason. I found this Blackberry Cider candle there a month ago, and I wish I had bought 6 more!!! And the best part about candles? They don't go bad! I bought a giant fall Yankee Candle last year and only burned half of it to save the rest for this year. So when you find those great candles for a deal? Stock up! Keep your eye out once stores start transitioning for Christmas too, because fall candles will definitely be on sale (and perfect to pack away for next year). Interested in some fall things that are FREE? 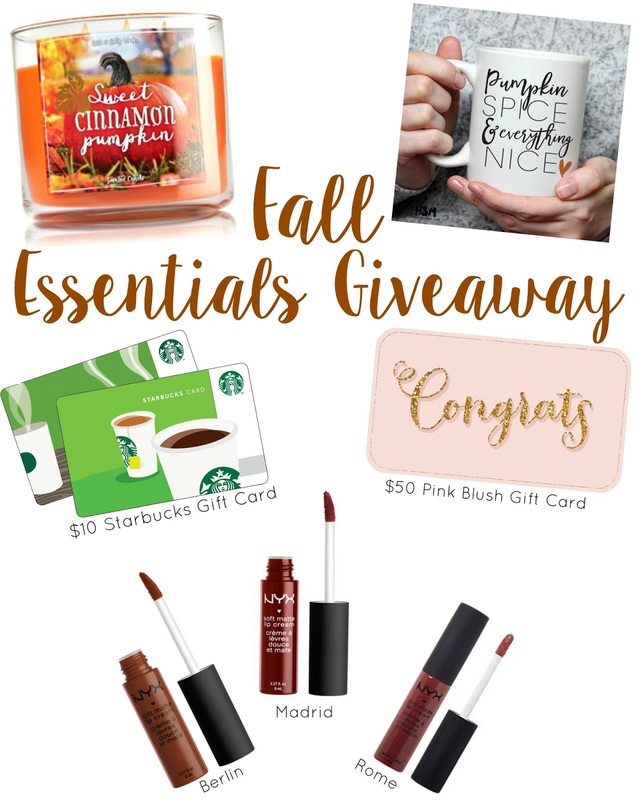 The winner of this giveaway will receive this fall candle, a "Pumpkin Spice and Everything Nice" mug, $10 for Starbucks (maybe some real pumpkin spice? ;) $50 to Shop Pink Blush, and three different dark fall shades of lipgloss! The giveaway only lasts a week! Good luck! 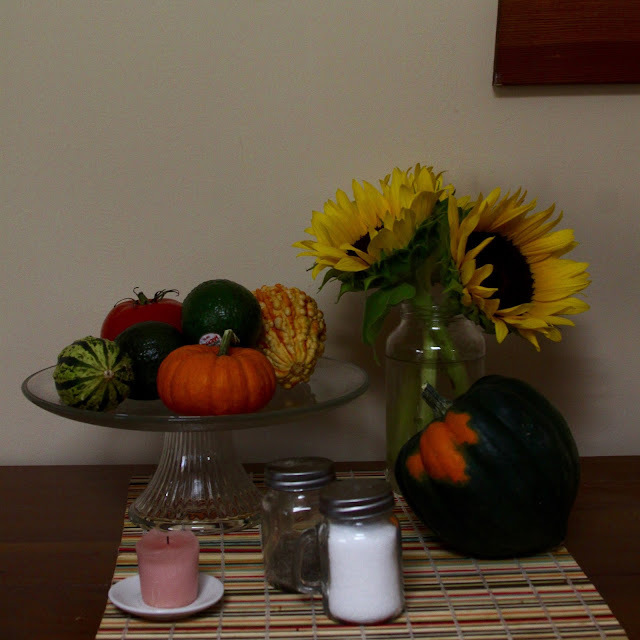 Do you have any cheap tips for adding some fall flare to your space? What are your favorite fall essentials? Found your blog today :) Great post! 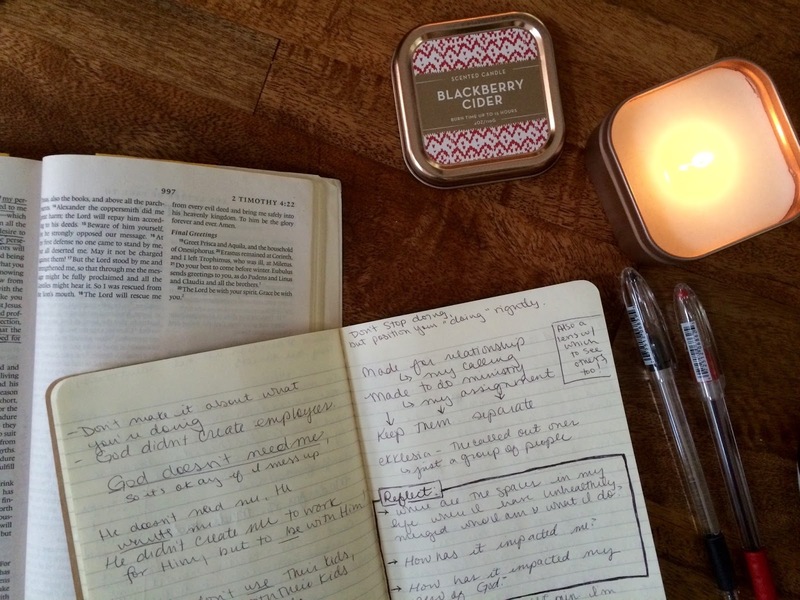 And a blackberry cider candle sounds like it smells AMAZING! It all looks great! I need some mini pumpkins! Everyone needs some mini pumpkins! Love the mini gourds! I saw some at the grocery store earlier this week but they were like $7 for a couple. I'll have to look for some cheaper ones! And what a cute pie plate! I haven't seen that at Target around here yet, but I'll have to look for it. Target has had so many great things in their Dollar Spot lately! 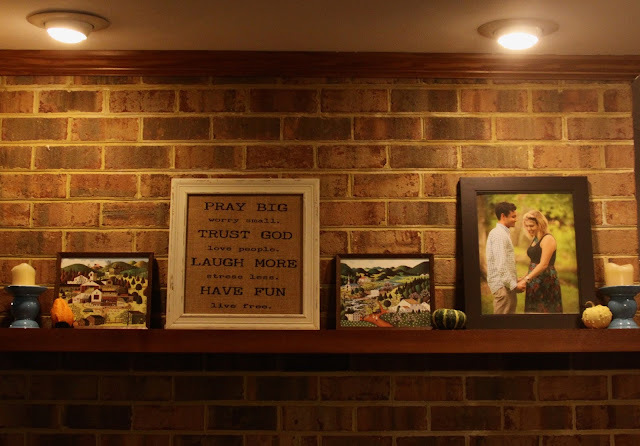 I love the idea of having cute plates hanging on the wall. I've always wanted to do that! 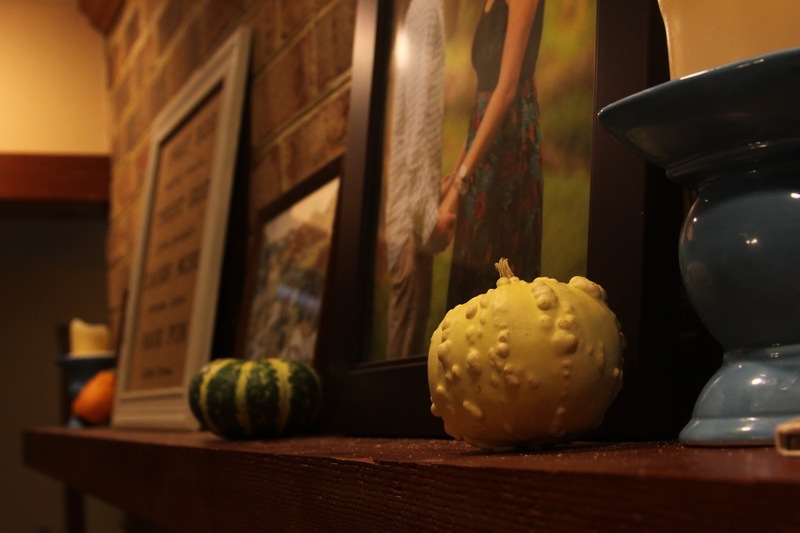 Watch for gourds after Halloween! 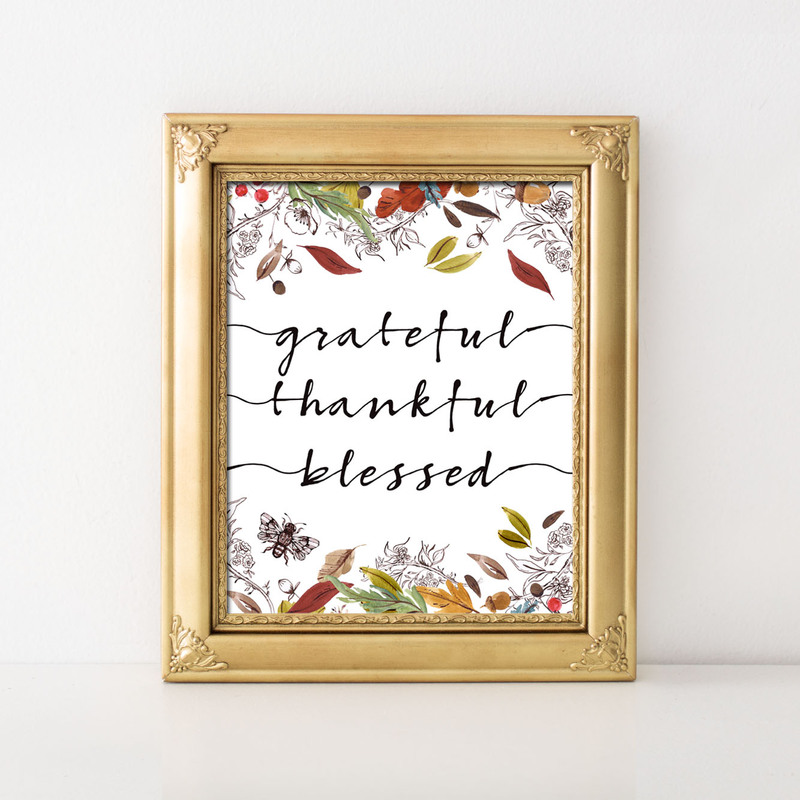 For some reason people think that Halloween is the end of fall decor... but you have Thanksgiving right around the corner! Love the idea of the mini gourds! I always forget to look at the grocery store for those! I need to check out the Target Dollar Spot too!! i really love fall candles. leaves is a favorite! Ugh, nothing beats those big scarves!!! 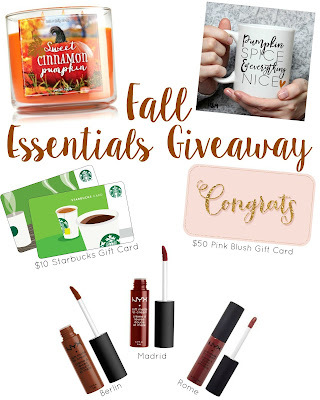 Such a cute blog and giveaway!!! 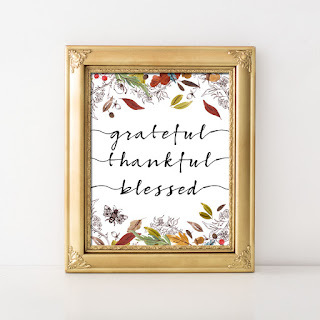 Love all your finds! 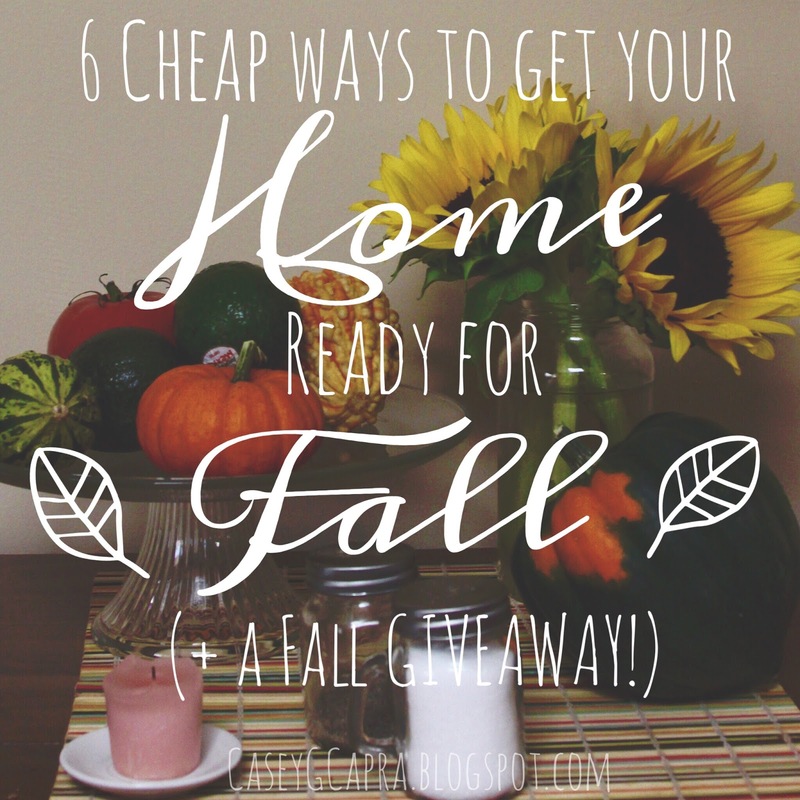 I've really been wanting to get some fall decor but I didn't want to spend a lot, so these are great tips, thank you!! I may have to go pick up some mini pumpkins at the grocery store. My favorite season! Thanks for the great ideas! 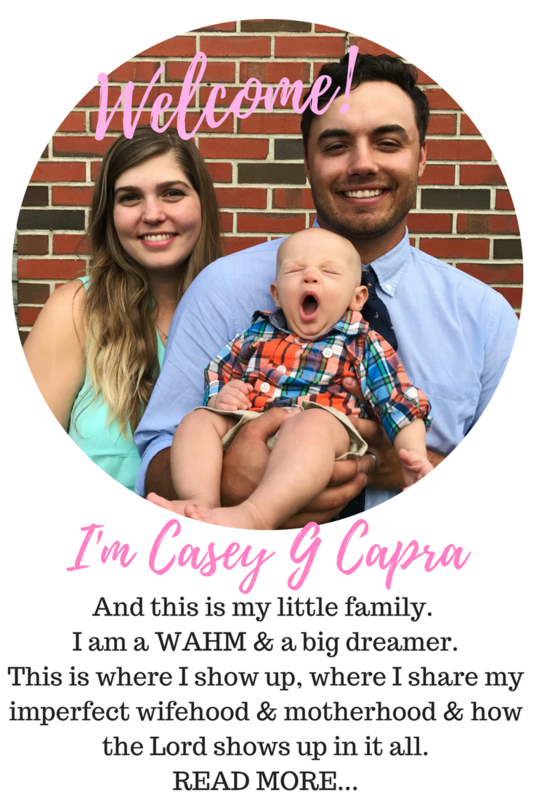 These are super great ideas, Casey! 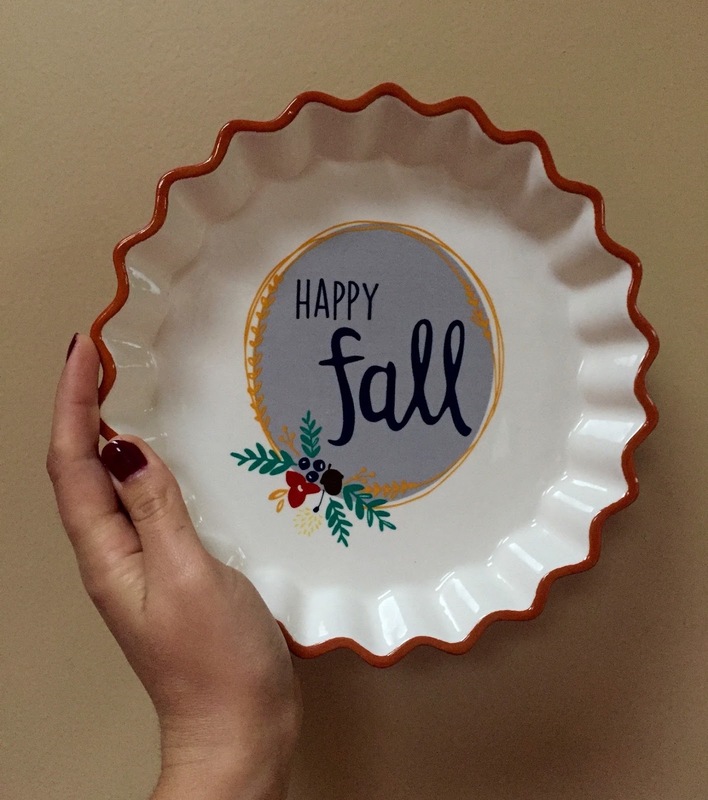 I love that cute fall plate! Candles are my favorite!